The Mymanu Clik, from Manchester-based audio company Mymanu, is a wireless Bluetooth headset that’s capable of recognizing and translating between nine language packs and 37 different languages in real time, including French, Spanish, and Japanese. 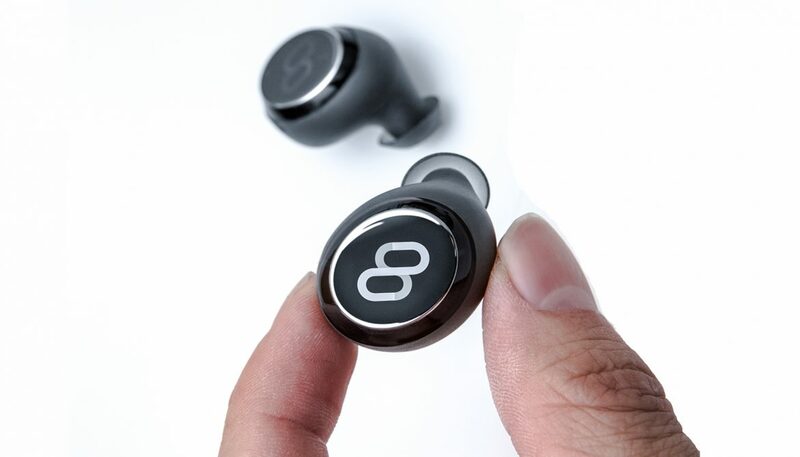 When powered on and paired to a smartphone, the earbuds automatically detect the language being spoken and provide a spoken translation within a sentence or two. Mymamu claims the Clik’s translation engine, which was developed in-house over four years, is the the most “accurate” and “speedy” available. It powers a smartphone app, Mymanu translate, that provides a minimalist voice-to-text interface for iOS and Android devices.